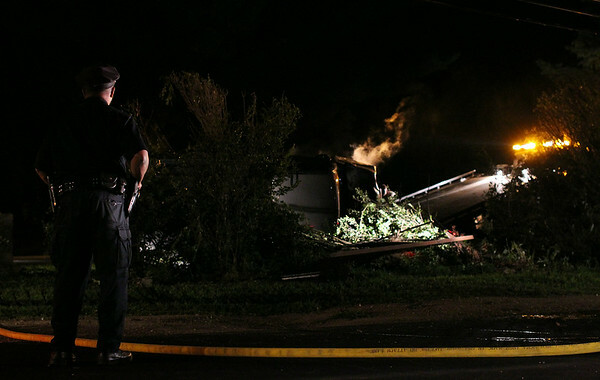 A Salem Police officer stands guard and looks on as the engine of a flipped over Chevy Silverado begins to smoke and eventually catch fire as it was being removed from the Greenlawn Cemetery outskirts. DAVID LE/Staff photo. 8/7/14.